You'll be £19.99 closer to your next £10.00 credit when you purchase The Life of General George Monck. What's this? 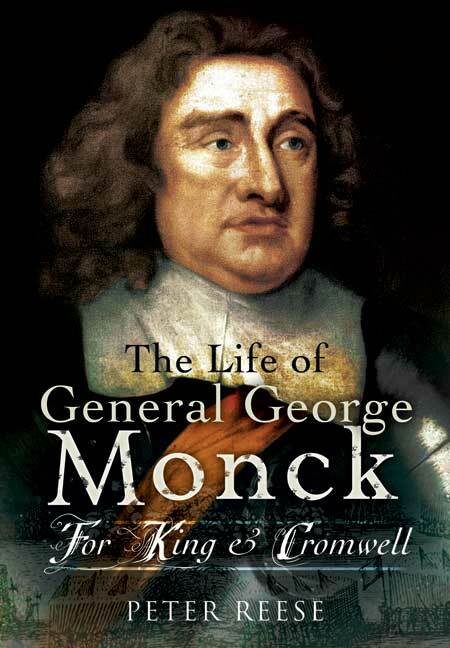 General George Monck is famous for the key role he played in the restoration of the monarchy in 1660 - his actions changed the course of British history. But his statesmanship in the dangerous time between the death of Cromwell and the bloodless return of Charles II distracts attention from his extraordinary career as a soldier and general, admiral, governor and administrator. During the confused, often bloody era of the English Civil Wars and the Protectorate he was one of the great survivors. Peter Reese, in this perceptive new study, follows Monck through his long, varied career, from his impoverished upbringing in the West Country and his military apprenticeship on the Continent, to his experience as a commander on both sides during the civil wars. He distinguished himself on the battlefields of Ireland and Scotland, and as a general-at-sea for both Cromwell and Charles II. His shrewdness and firmness of character, his skill as a leader, his high popularity with his troops and his occasional ruthlessness gained for him a formidable reputation. And on Cromwell's death he was one of the few men in England with the power, personal authority and political skill to secure the restoration of Charles II and to bring to an end twenty years of conflict. In his books on the battles at Bannockburn, Flodden and Dunbar, Peter Reese has established a reputation as a gripping and versatile writer of military history. He has written extensively on Anglo-Scottish conflicts, the English Civil Wars and the pioneering days of manned flight. He is also a notable biographer - he has published a critical assessment of Scottish commanders and acclaimed biographies of William Wallace, Samuel Cody and General George Monck.